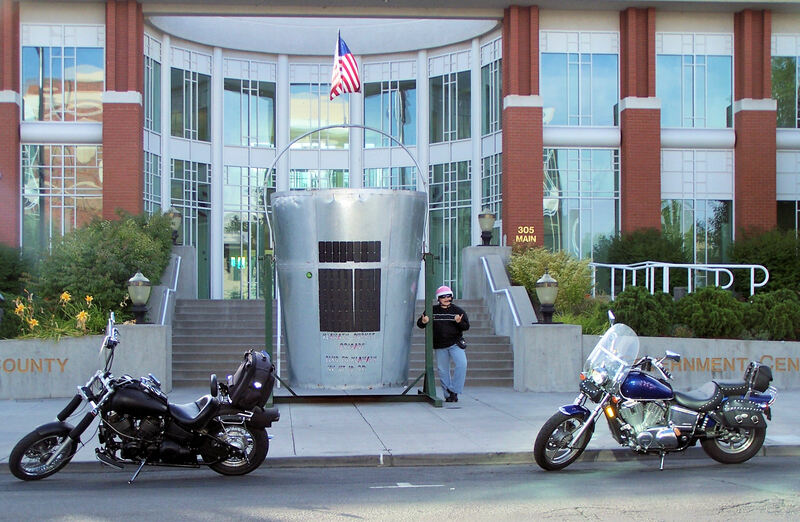 This giant bucket is located in front of the City offices in Klamath Falls, Oregon and is part of an ongoing battle or “Bucket Brigade” that began with the drought in 2001. (Via Huffington Post) … There was a drought in 2001 that caused water levels to be low and a court decision was made to shut off the irrigation water. Many farmers in the Klamath area are almost totally dependent on irrigation. Once the court’s decision to stop irrigation was announced, many of the farmers launched protests. A bucket brigade as defined as “a method for transporting items where items are passed from one stationary person to the next; more specifically, it refers to a method of firefighting before the advent of hand pumped fire engines, whereby firefighters would pass buckets to each other to extinguish a blaze,” (Wikipedia). However, this bucket brigade was symbolic in nature and put into place purposely to make a statement to the federal government. 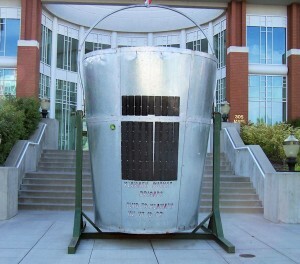 “In a symbolic gesture of defiance to the federal ban on irrigation, farmers and their sympathizers formed a mile-long human chain and transported water, person-to-person, from Lake Ewauna at the city’s Veterans Park to the main canal of the irrigation system,” The bucket brigade was held on May 7, 2001 and was an all day event with thousands of people present. 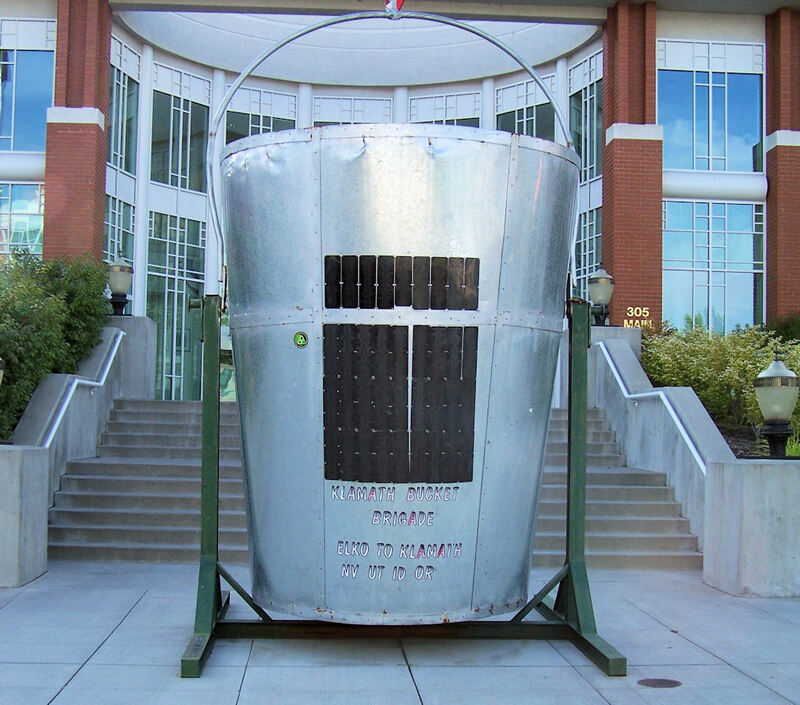 This giant bucket is symbolic to the farmers to let them know that even though they are going through a rough time, the community is backing them. Don’t forget to check out other great roadside finds contributed by Amanda & Steve by clicking the “Butterfly” or “Kamikaze” tags at the end of this post …. there are some great ones!